Do you and your family have The Christmas Pickle? 1. Yes, we have been participating in The Christmas Pickle since 1906 when VGF began. 2. We hang The Christmas Pickle on the tree for good luck only. 3. No, but I know someone else who does The Christmas Pickle tradition stuff. 4. No, I just found out about The Christmas Pickle. 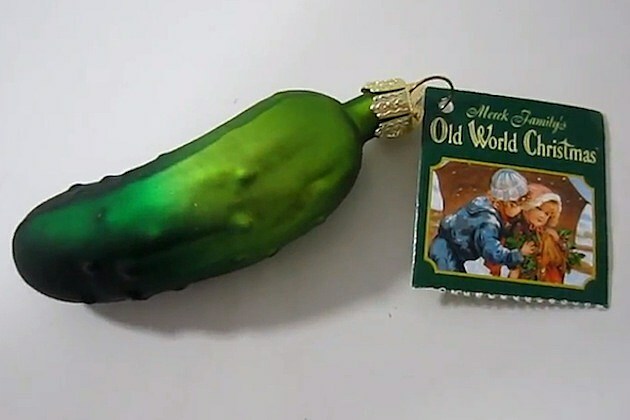 Do you have a tradition that involves The Christmas Pickle? We do it. Every year my family has a pickle gift. My mom hides the pickle ornament in the middle of the night (or just the day before because my sister and I don't live there anymore). On Christmas morning, my younger cousin, sister, and I all look for the pickle. Whoever finds it gets the pickle gift, though it's usually a game for the whole family to enjoy. I have only found the pickle one goddamn time, so it has become an activity for my sister to gloat. Haha. no but I wish this was a thing in our families, that sounds awesome.